Ship Shape Elementary: Two Winter Freebies! It has been such a wonderful Winter Break full of family, good food, and lots of fun! School resumes for me on Monday and I've been prepping next week's activities. I have a couple of freebies that I will be using next week and that I wanted to share with you! 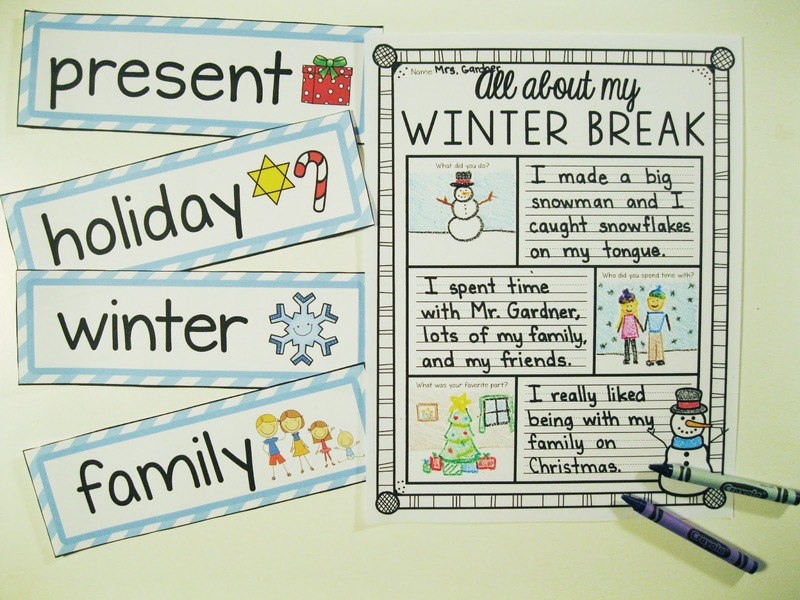 I know your students will enjoy doing these activities! 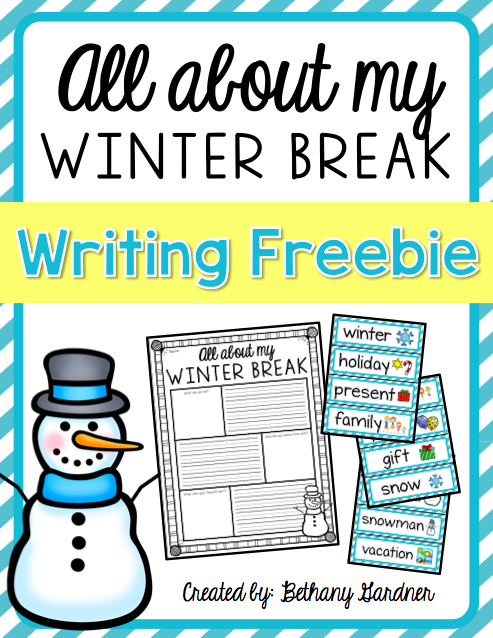 First up is a little writing activity to help our students share what they did over the break! 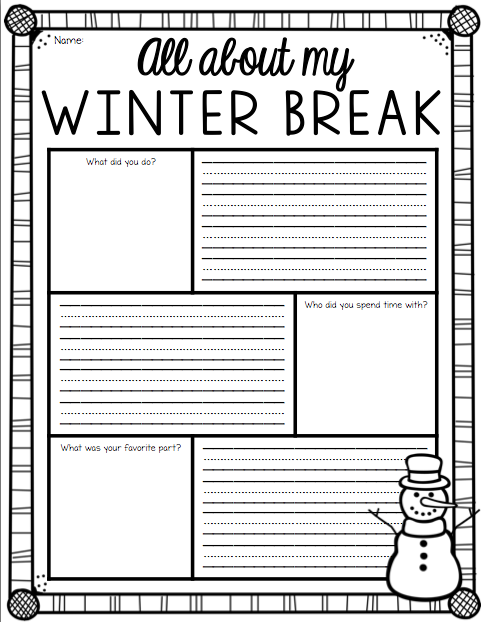 A page with pre-written questions is included as well as a page with blanks in case you want your students to choose the three things they want to draw and write about. 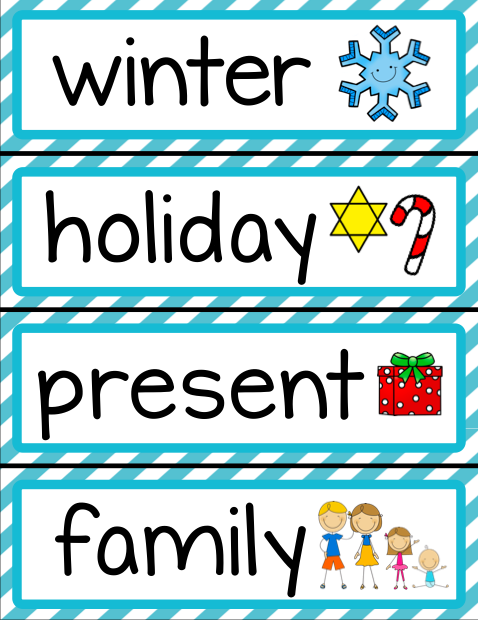 Also included are twelve word/picture cards that may be useful for your little spellers as they work to write about their little lives over Winter Break! Click right here or on the cover image above to download this packet for FREE! The next freebie is an oldie but goodie from last year. 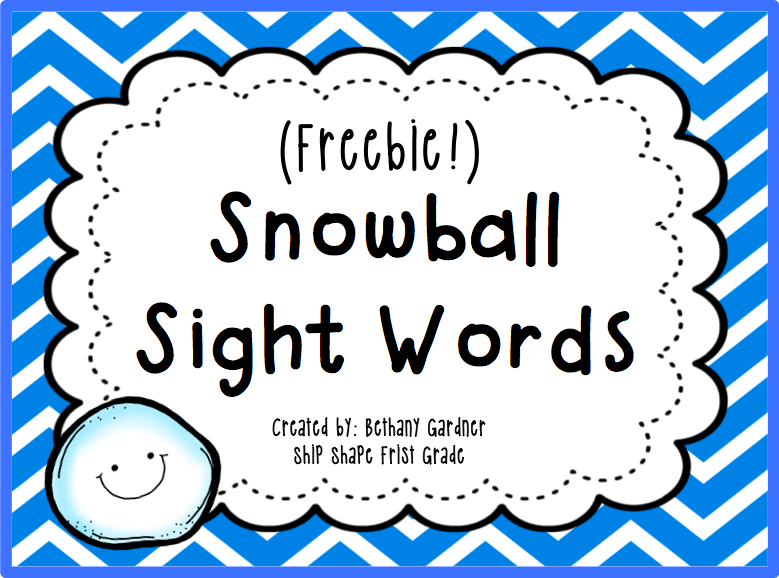 My students LOVED hunting around in the cotton balls for these sight words. 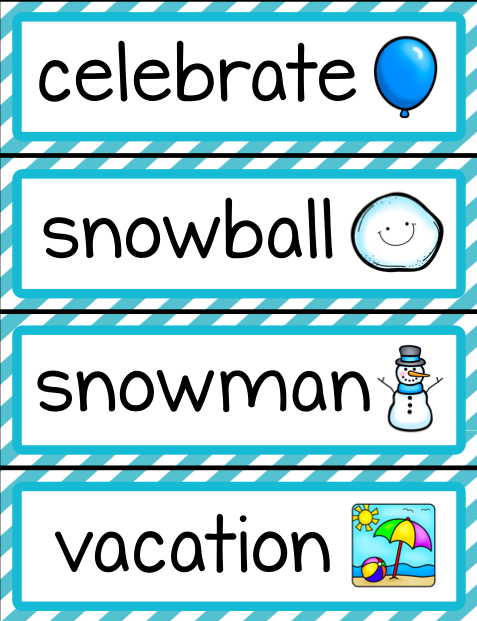 It is a fun way to review the sight words you've already taught this year. The packet includes the entire Dolch first grade list as well as blanks so you can make sure your students are getting the words they need. For the activity pictured I used Cara Carroll's free recording sheet found here. Click above or right here to download the snowball packet, and ENJOY! Haha, that is probably why they are my favorite! I'm glad you like it! Love the snowball sight word practice! I can't wait to print this off and add it to my centers! Thank you SO much! !